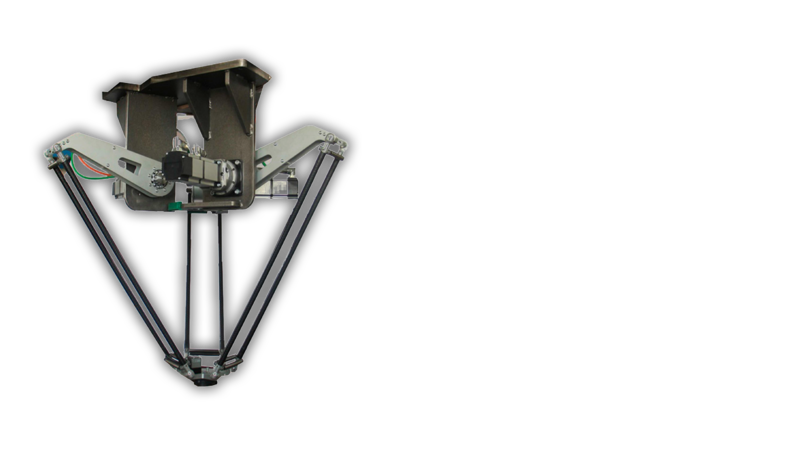 The delta robots were created with the precise intention of having a fast, precise and high-cycle manipulator with a high number of cycles per minute. once installed and configured, the robot can operate autonomously, with predetermined movements, or with randomized movements, depending on the position of the object or objects to be moved. Thanks to sensors positioned along the working line and to the various instruments and manipulators applied to the Delta robot, the robot can act precisely on even small elements.